We all have our own system that works for us when it comes to leading a healthy lifestyle. Sometimes we can get in a rut and find ourselves needing to revamp our current system so we can get back on track and avoid falling off the rails of our overall plan. January is always a time of reflecting on what worked in the previous year and revising those old systems so as to have a better outcome in the coming year's progress. After writing my previous blog about life workbooks, I decided to do a little research regarding fitness planners and systems that others have incorporated into their daily lives to keep it all together and on track. I use a general daily planner to write EVERYTHING in. Doctor appointments, sporting events, family events, home repair appointments- you get the point. On the monthly calendar view, I will often write out fitness classes and times so I know at a glance when and where I need to be when I sign up for a class. This doesn't always work out when it comes to the variety of fitness activities I enjoy participating in. The reason? I seldom ever include my home workouts. I have found that when I do write down my fitness plan for the week in my planner that I have been successful in doing all the workouts. The problem; I don't always write my plans down so one can only assume, that I'm not working out as much or as often as I should. I realize its time to make some changes to my system to ensure I am successful in sticking to my fitness plan. I love doing a variety of fitness activities for my workouts. 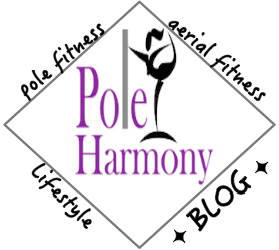 I used to only do pole fitness as a workout but as I've progressed in my pole work, I've realized that I need to branch out and include a variety of activities to achieve optimal balance. This is where sticking to my plan got tricky. Since I also work out at home, it was difficult to "pencil in" those non-class fitness sessions. I took some time to create some print outs that can be used for planning future workouts. (See templates below). I made these templates with the idea of laminating the original copies and using a dry erase marker to write down a fitness schedule that can easily be placed on the fridge or in a work out space at home. By displaying a check list of your intended fitness plan for all those in the family to see, my thoughts were it would help in accountability, fellow family participation, and overall motivation. Let's get 2017 off to a great start and stay on track in our goals!